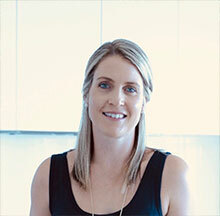 Jodie is an accredited practicing dietitian and nutritionist delivering individualised nutrition advice in a comfortable, welcoming environment. Jodie navigates her patients through the diet and lifestyle challenges associated with their personal situation, providing advice, guidance and understanding based on the most current and up-to-date evidence. Jodie specialises in women’s health, including fertility, pre-conception nutrition, pregnancy and new mums. She also has a special interest in weight management, gestational diabetes, PCOS, endometriosis and menopause. Jodie also studied exercise science and was a teacher for 12 years before retraining as a dietitian. This experience, together with raising two little girls, allows for a compassionate and personal approach in helping women meet their nutrition needs at every stage. Jodie consults from Dr Dana Moisuc’s rooms on Mondays. Refer to Jodie’s website www.thedietitianstudio.com.au, phone Dr Moisuc’s rooms on 5478 3533 or Jodie direct on 0408 984 938 or email info@thedietitianstudio.com.au for more information, referrals and booking.